If you have just started learning Simulink, one of the easiest tasks is solving a simple ordinary differential equation. In fact, most of the beginning guides you will find through web searches will probably be similar to the example I am going to provide. Let’s start by assuming you have the following common spring-damper system. For reference, m is mass, c is the damper coefficient, k is the spring coefficient, x is the position, x-prime is the velocity, x-double-prime is the acceleration, and f(t) is a step-input function with a magnitude of 3. 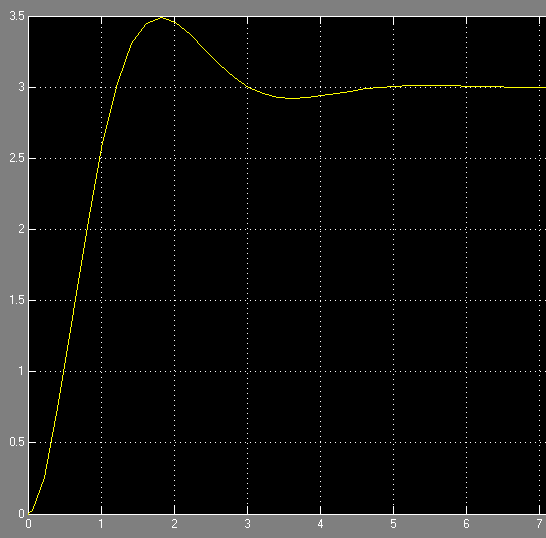 Step 2) Add the appropriate gain blocks to simulate c*x’ and kx. 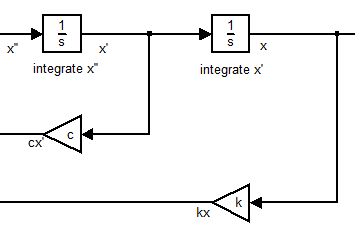 Step 3) Add the sum block to simulate f(t) – cx’ – kx. Step 4) Add the gain block after the summation to simulate the multiplication of (1 / m) and the step input function as the third input to the sum block added in Step 3. Make sure the step input function has the properties of Step Time = 0, Initial Value = 0, Final Value = 3. Step 5) Add the scope block for output after the second integration to view the plotted contents of the numerical solution. Actually many other books and pdf file teach but some time they go for the initial biggener that it becomes useless and some times they go for so much theory that main topics are out of control.